I'm in Lakeland, FL, for NXT tonight with an expected 250 people in attendance. Great reaction for Sabbatelli working as the face tonight. Early speed rope running, a leapfrog, and a crossbody by Sabbatelli. Clark cut him off and wore him down with headlocks before Sabbatelli hit a forearm in the corner followed by a slam for the win. 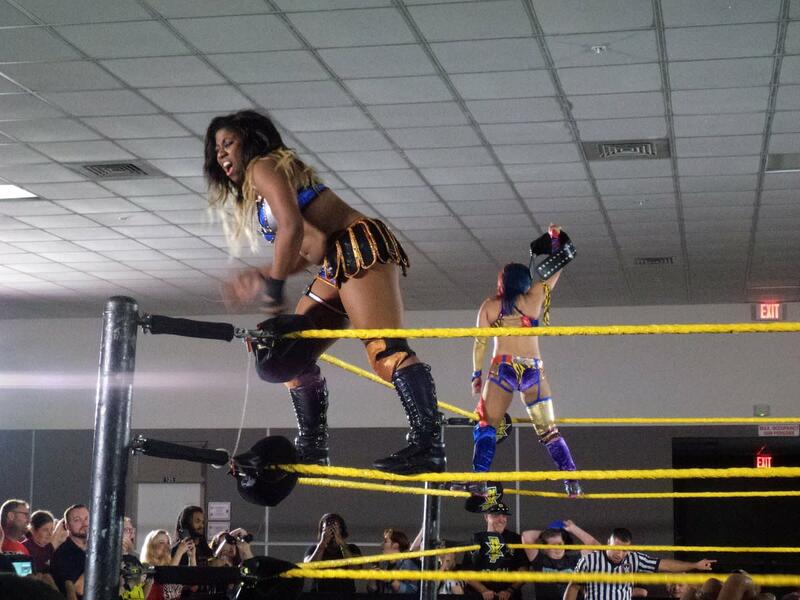 This was Blair's first NXT match. It got plenty of time and she showed her athletic ability. Aliyah was able to do an overhead with a bridge for the pinning combination. Crowd was into the big men for this match, speed and power moves won them over early. The heels worked over Knight in the corner before a Bogojevic hot tag where he ran wild, even doing the worm to a big pop. The finish was Bogojevic tossing Crawford to Knight for an assisted scoop slam. There was an early feeling out process and handshake for sportsmanship before Almas stomped Lorcan and went full heel during the match. Legsweep DDT by Almas for the win. He then tried to attack Lorcan after the match but was fought off after a good brawl. Very good match as the Australian women had a lot of tag team maneuvers and used the five count expertly to keep the advantage over Moon until the hot tag. Asuka ran wild with flying hip attacks and finally nailed a series of kicks to Kay for the win. - In-ring promo by Macey Estrella, who is a mother and a former marine. Impressive rope running and one-upsmanship early on. Alexander laid in some violent chops, then did the Japanese style repeated chops in the corner. Alexander hit the lumbar check for the win. The crowd gave him a great ovation after the match so he bowed to them in each direction. The Drifter opened his return with a new song about how much he hated us. One kid even heckled him, so he pointed out “especially her." During the match, Nikki Cross would get up on the apron as if she wanted to get involved until Dillinger did a wind-up 10 taunt in her direction which scared her and sent her falling backwards in to the arms of Fulton and Wolfe. Cross later tried to spray Dillinger with something yet he ducked and it went all over The Drifter, allowing Dillinger to hit the over the knee neckbreaker for the win.